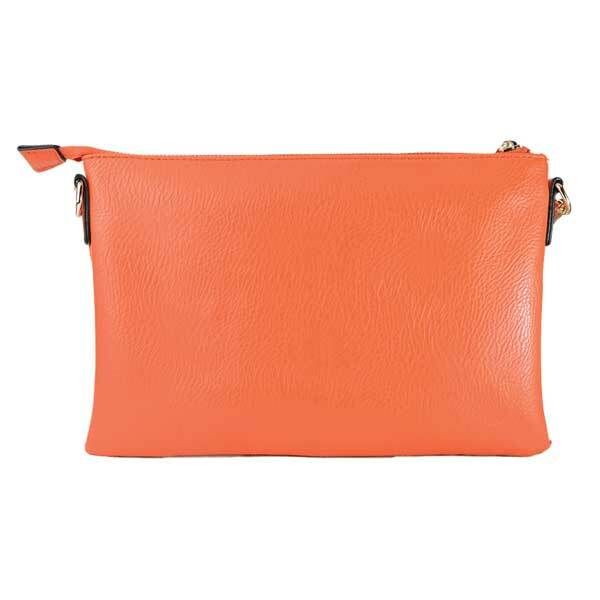 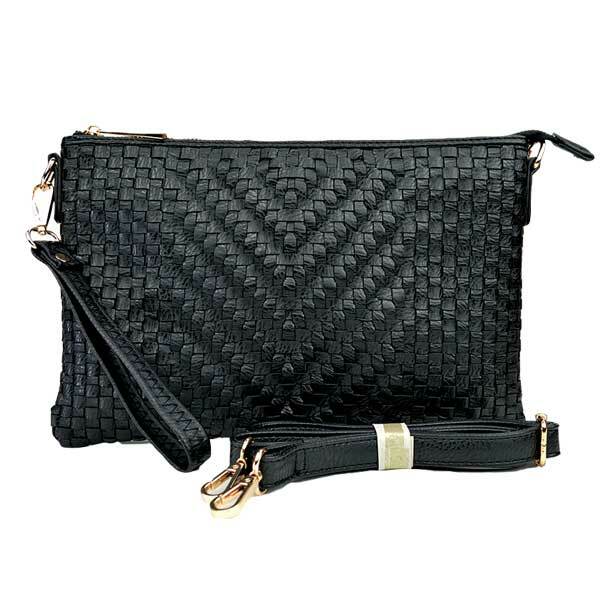 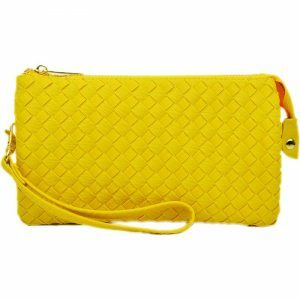 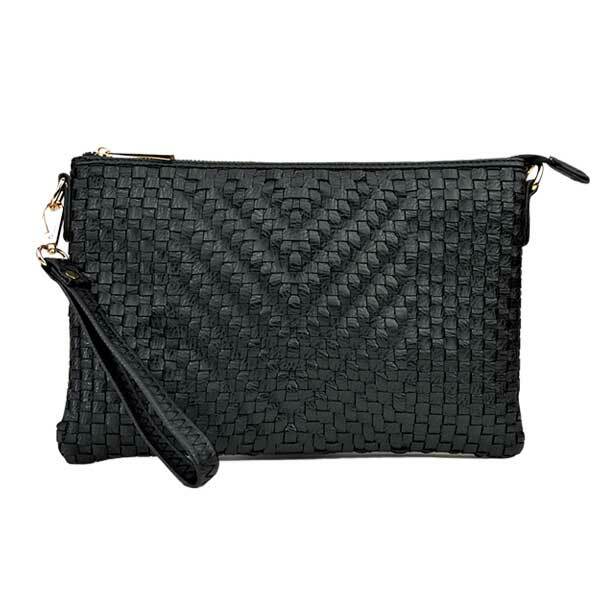 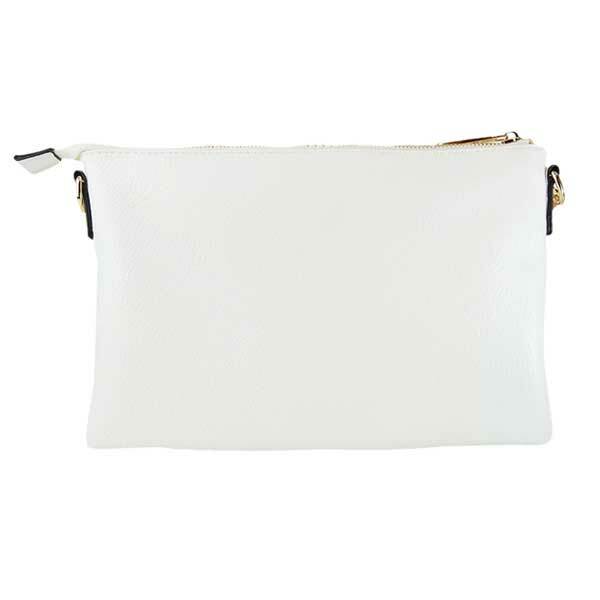 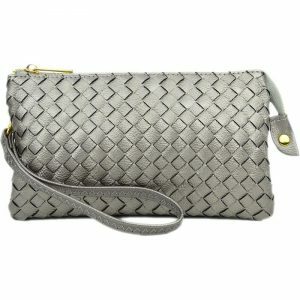 DESIGN: Woven front, smooth back, large clutch. 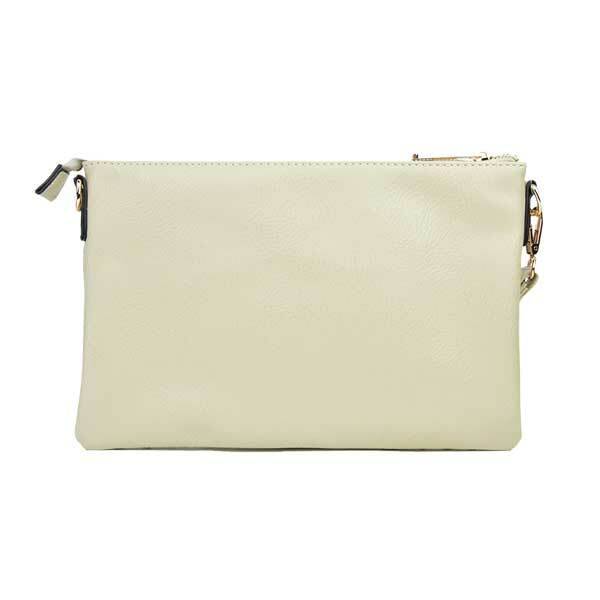 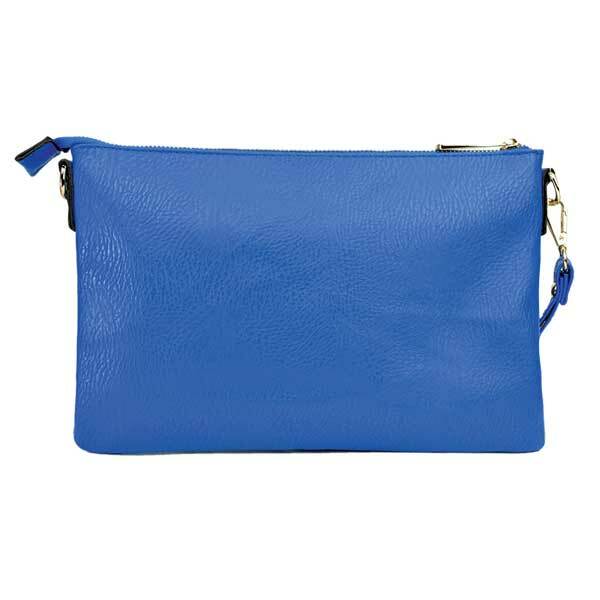 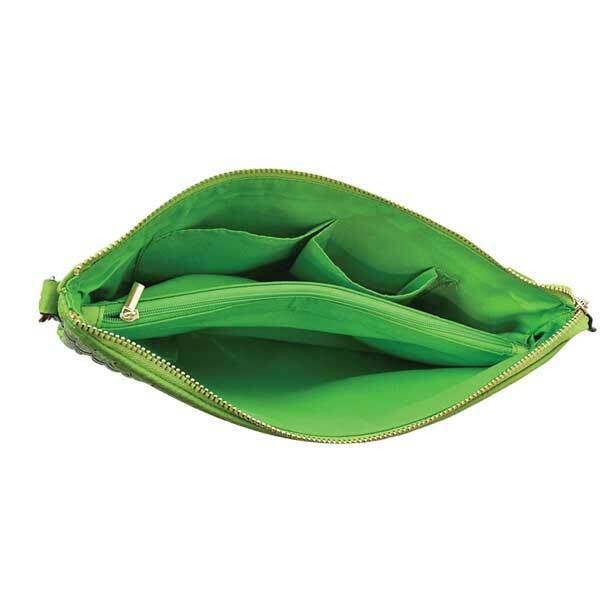 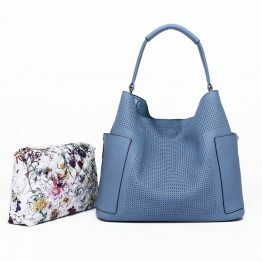 Zip-top closure opens up major compartments: 1 zip top pocket divides to 2 compartments; 2 inner side pouches. 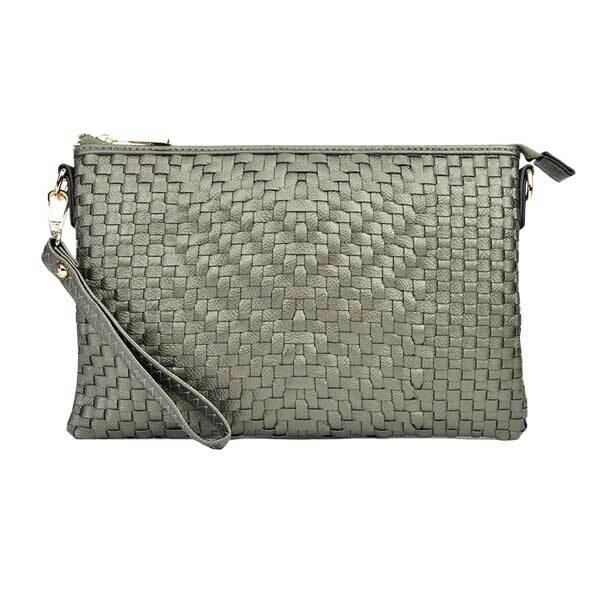 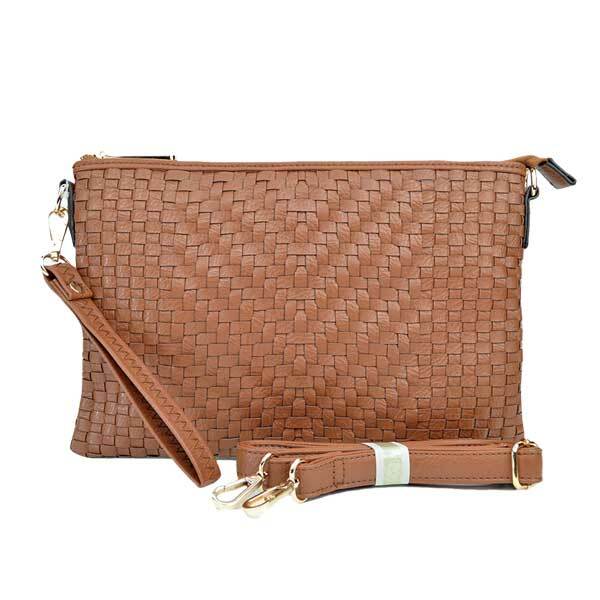 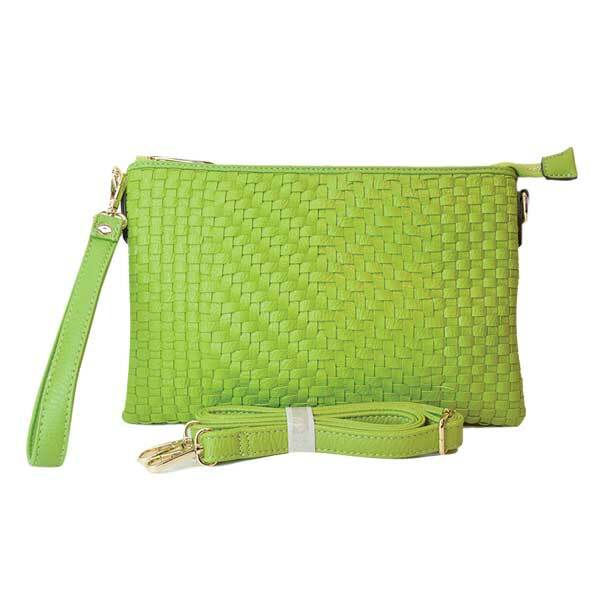 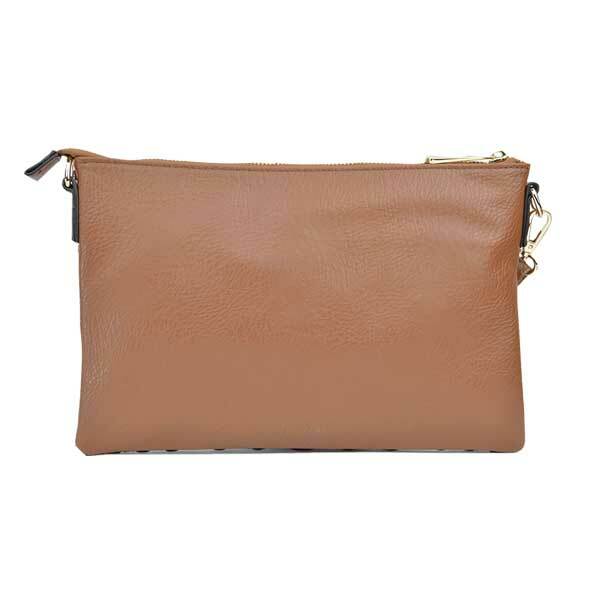 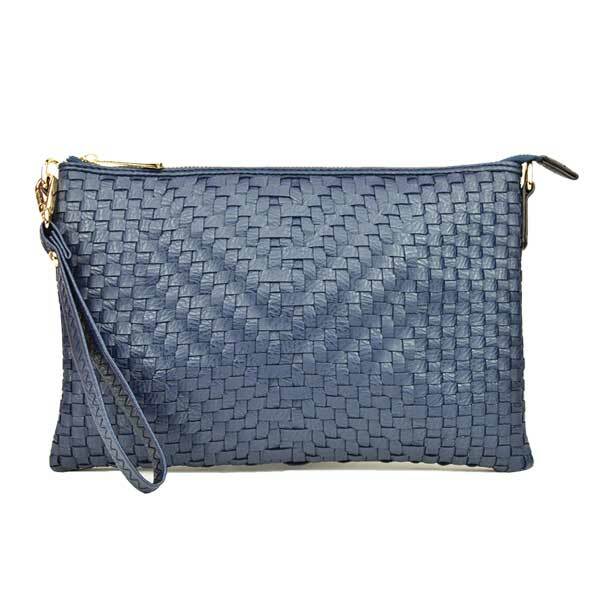 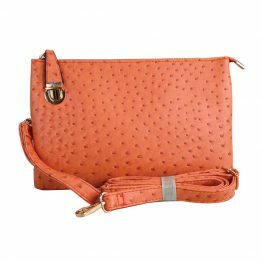 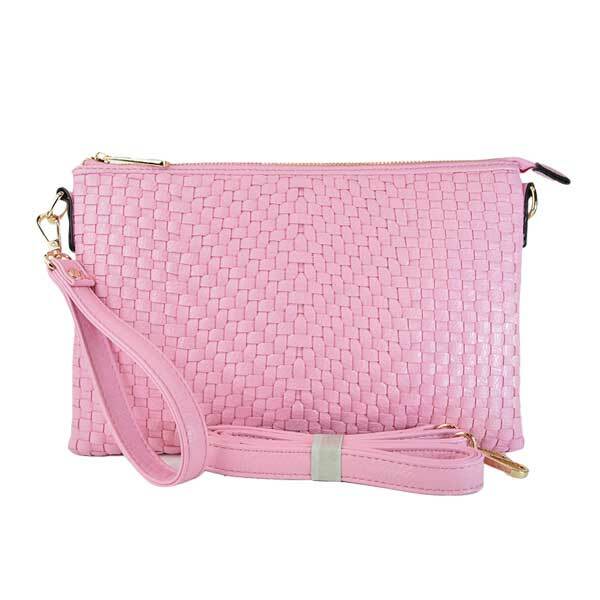 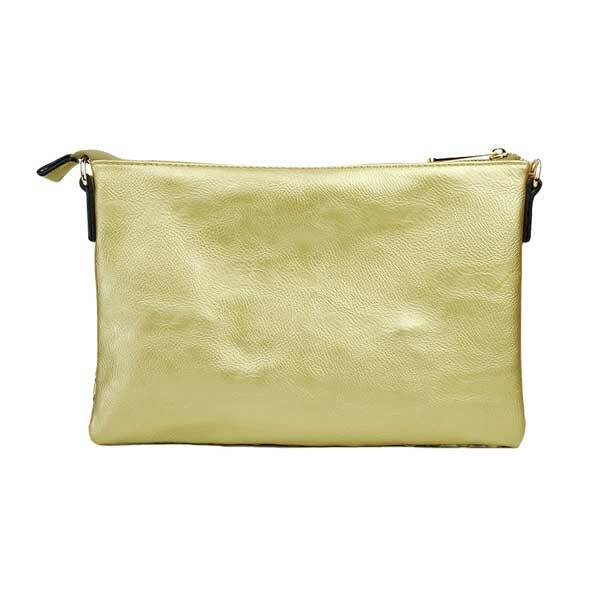 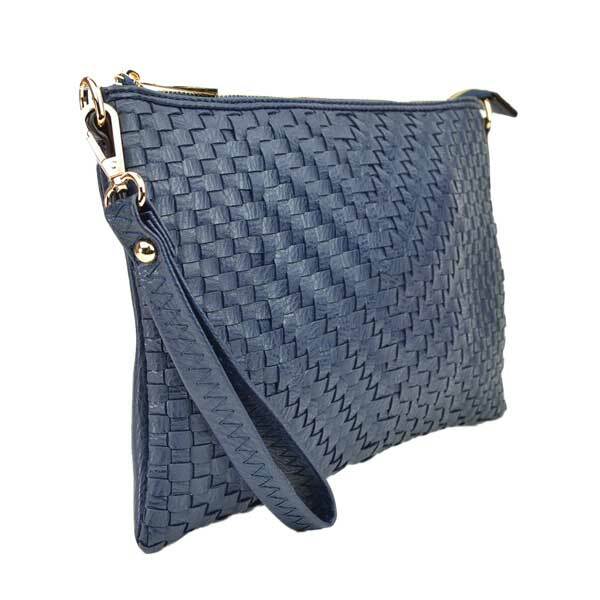 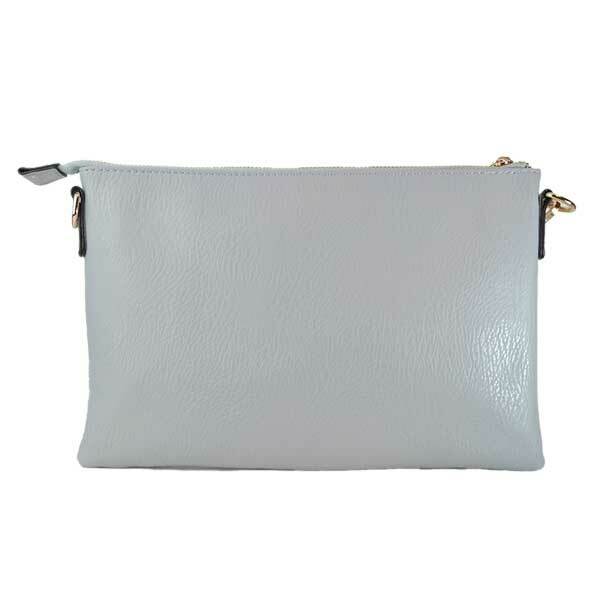 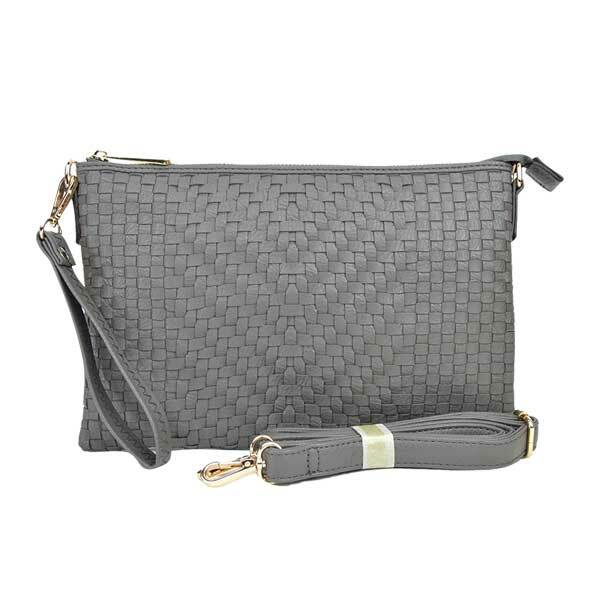 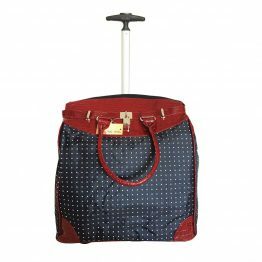 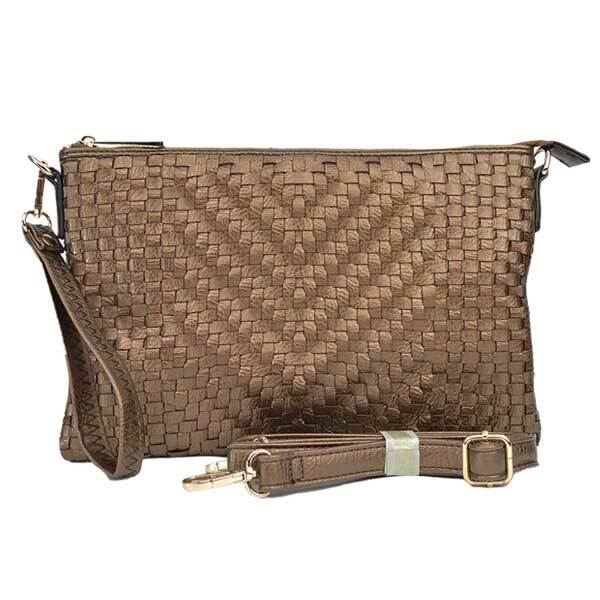 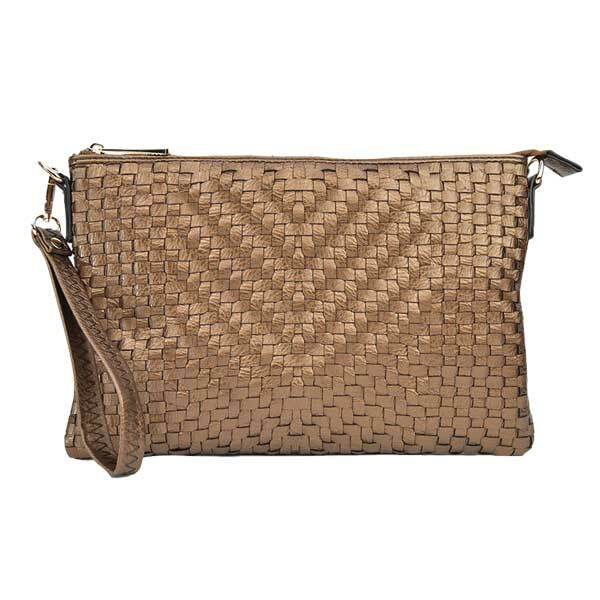 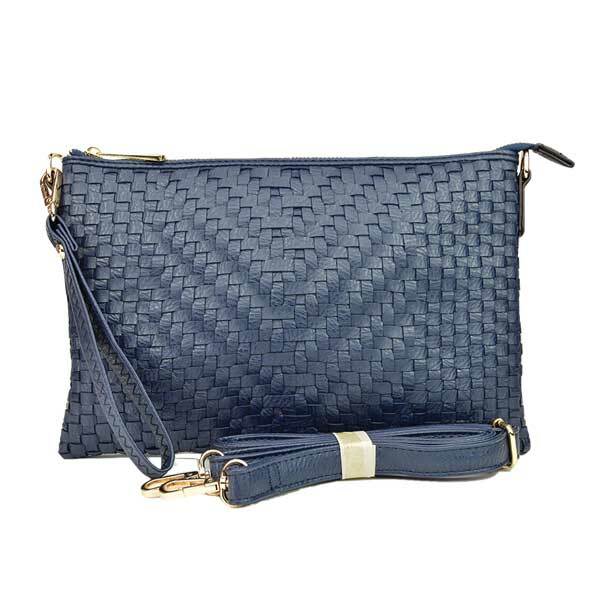 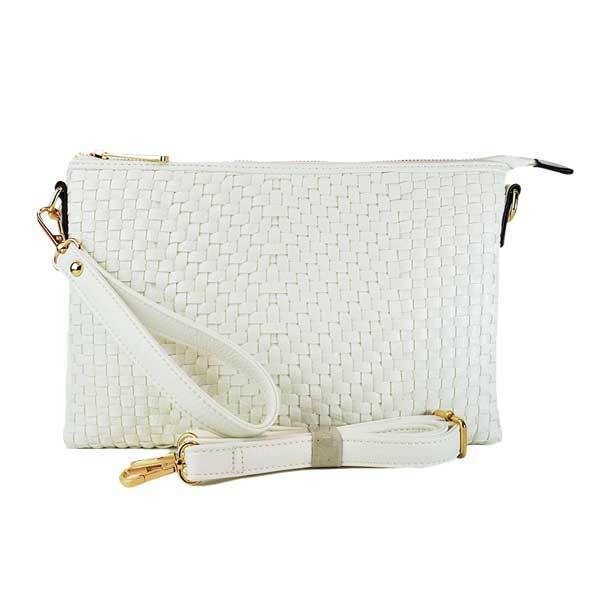 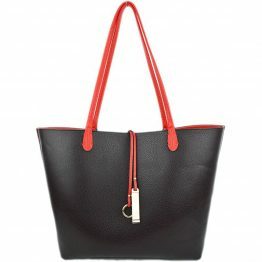 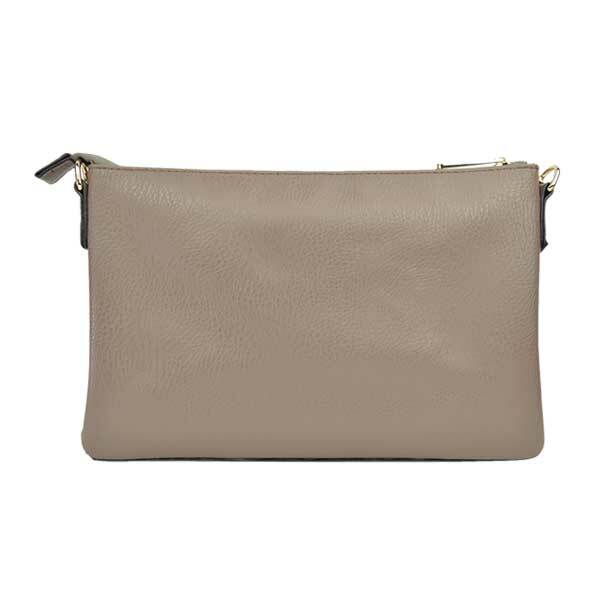 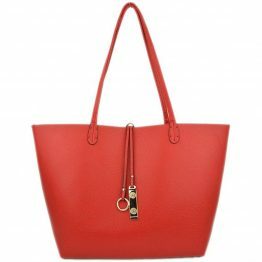 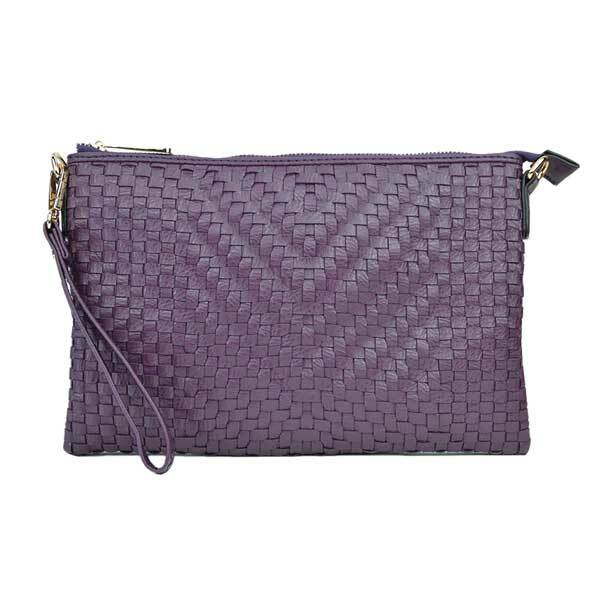 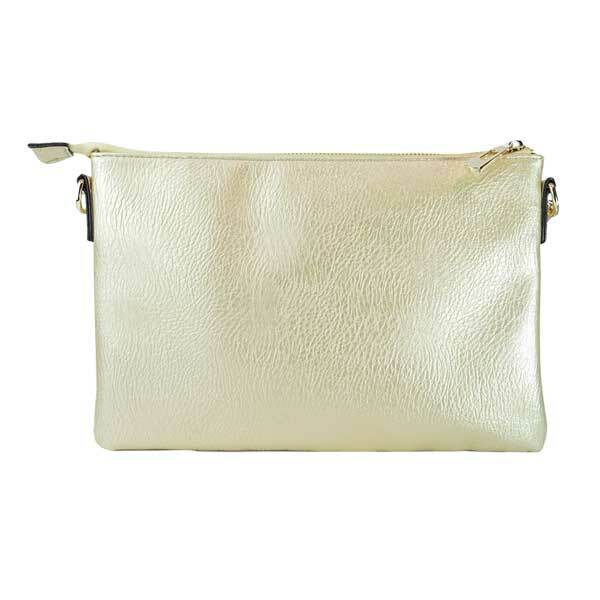 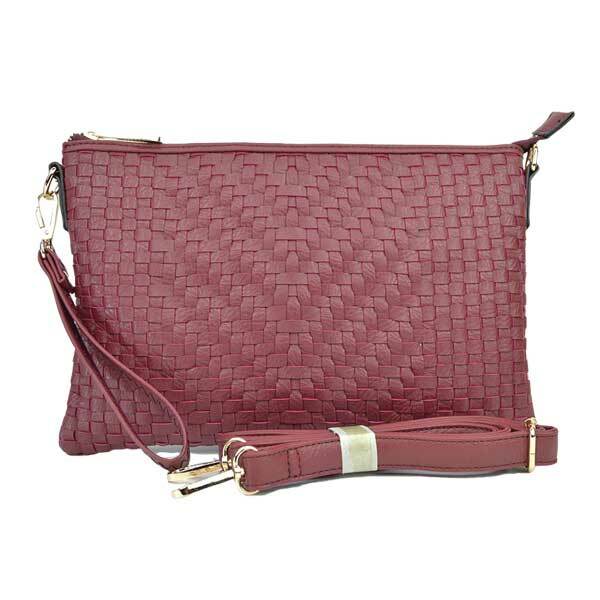 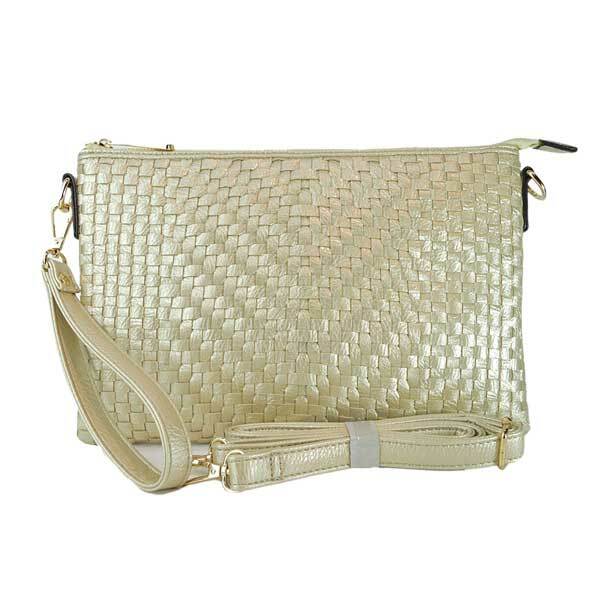 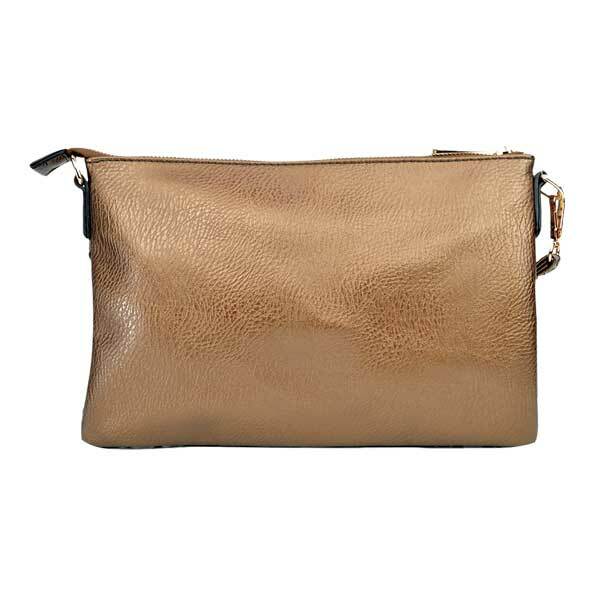 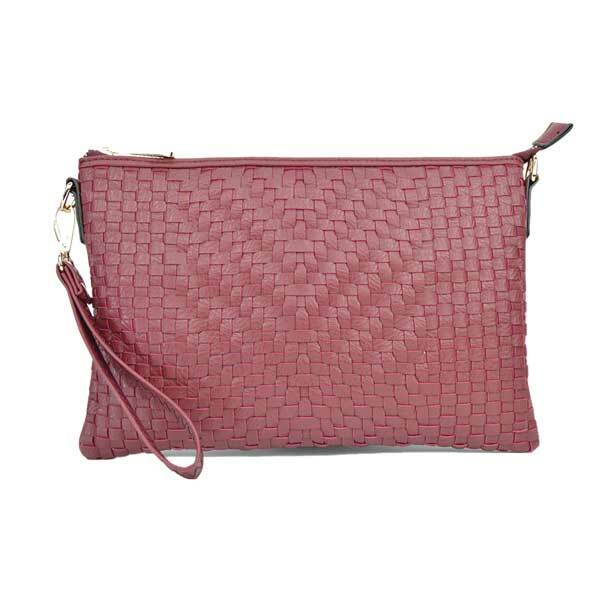 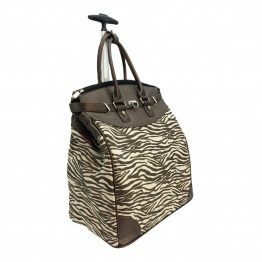 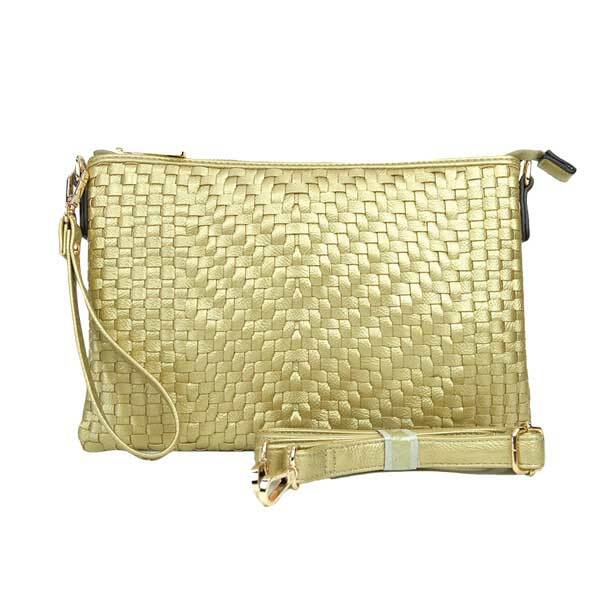 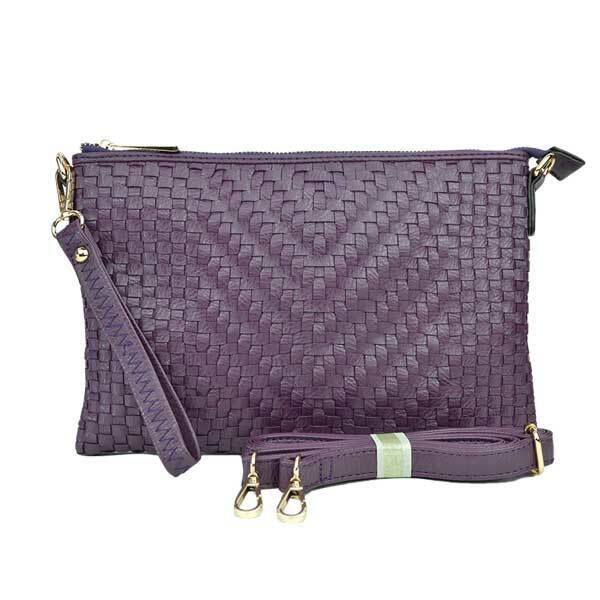 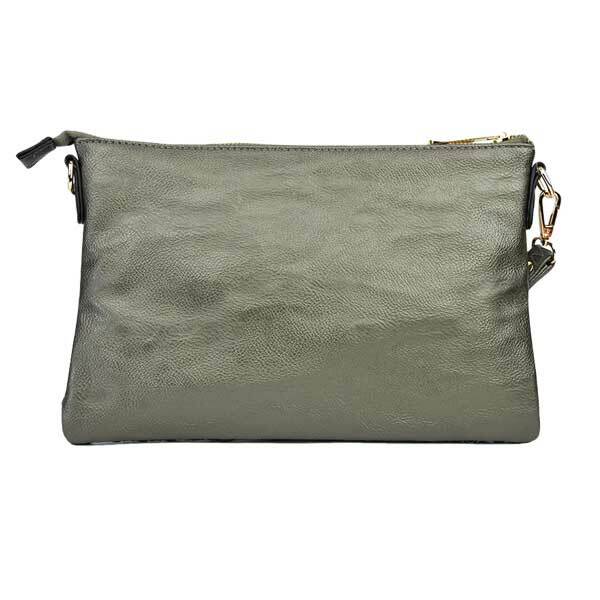 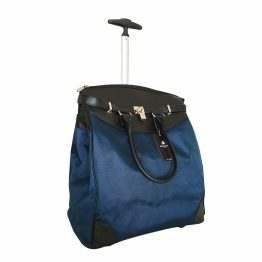 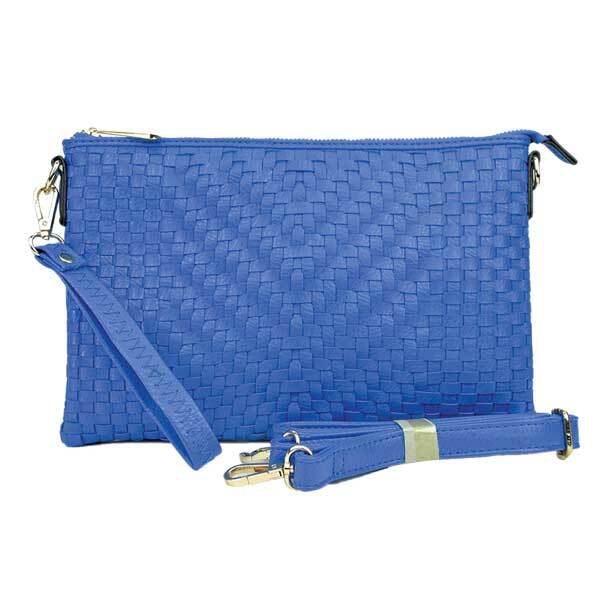 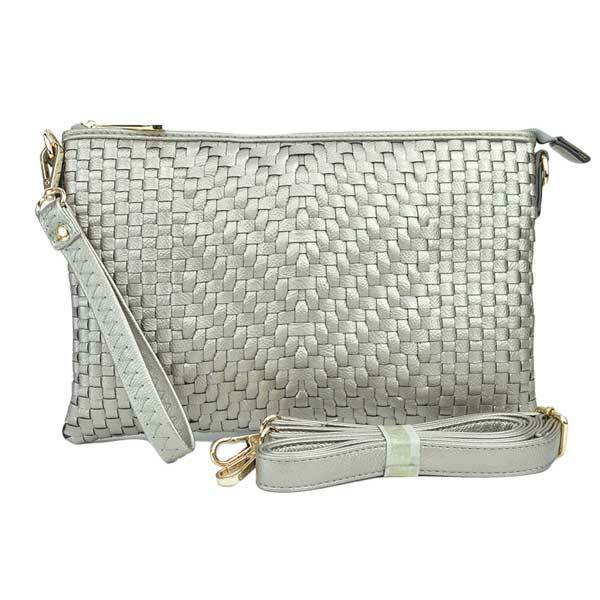 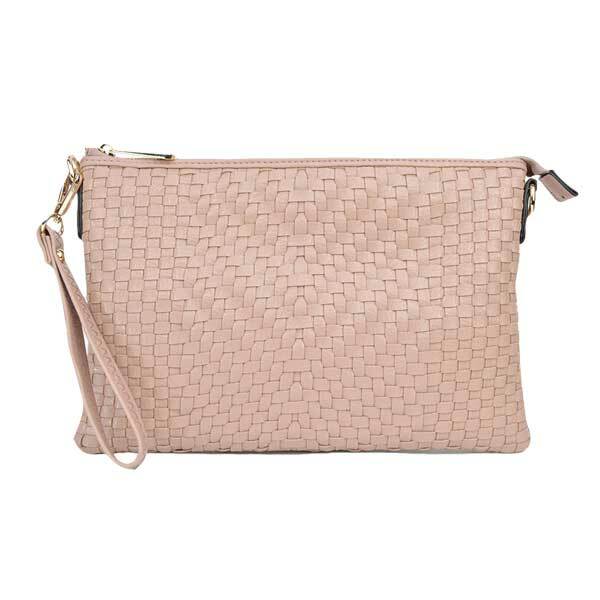 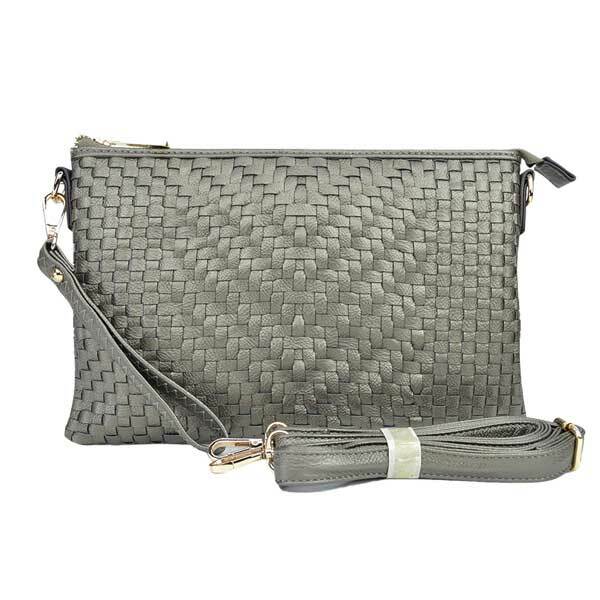 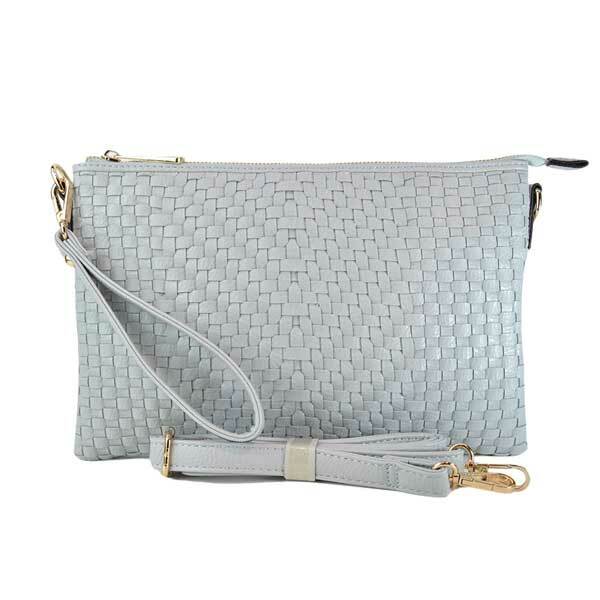 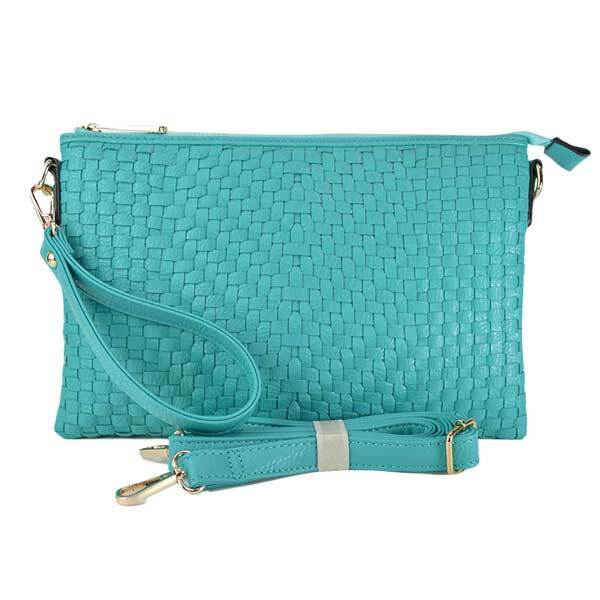 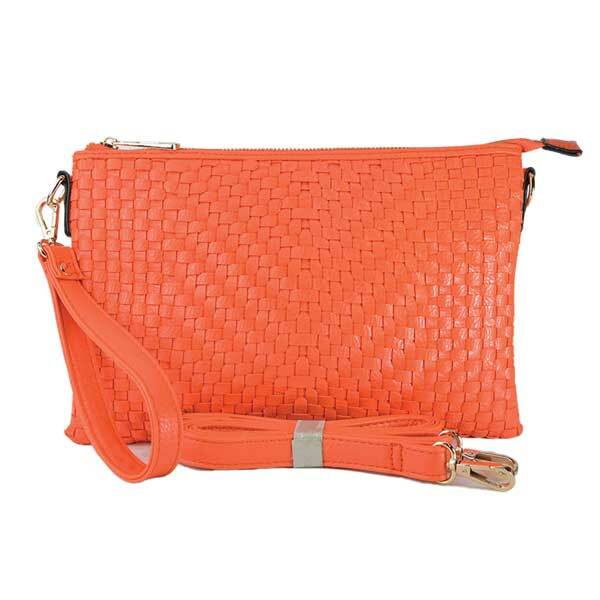 Woven textured synthetic leather, solid-colored fabric lining, gold-tone hardware. 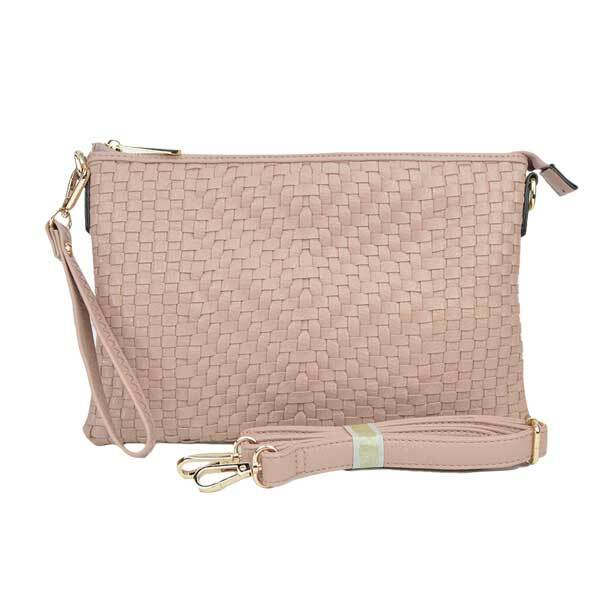 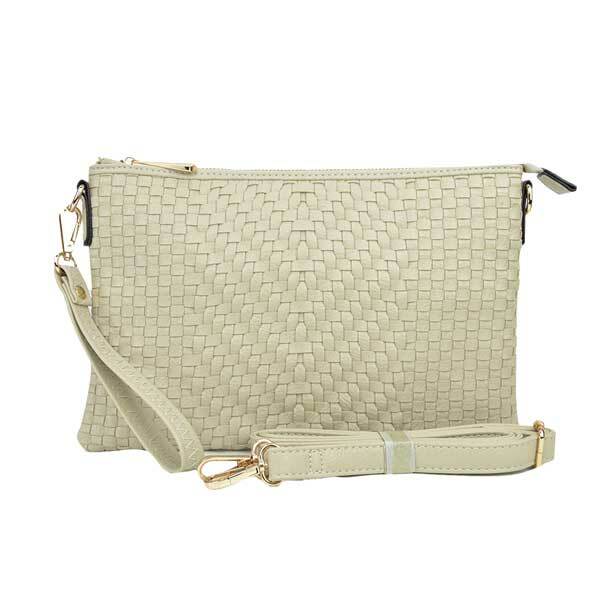 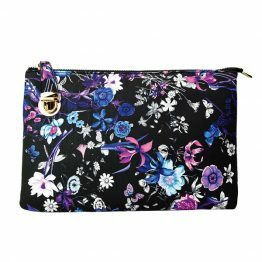 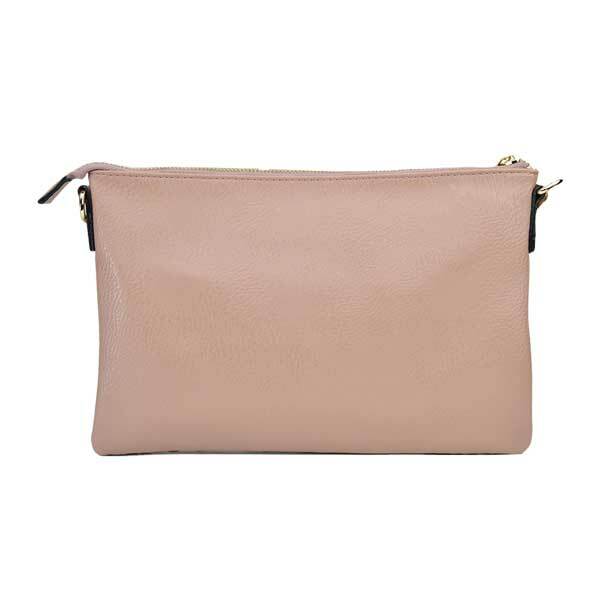 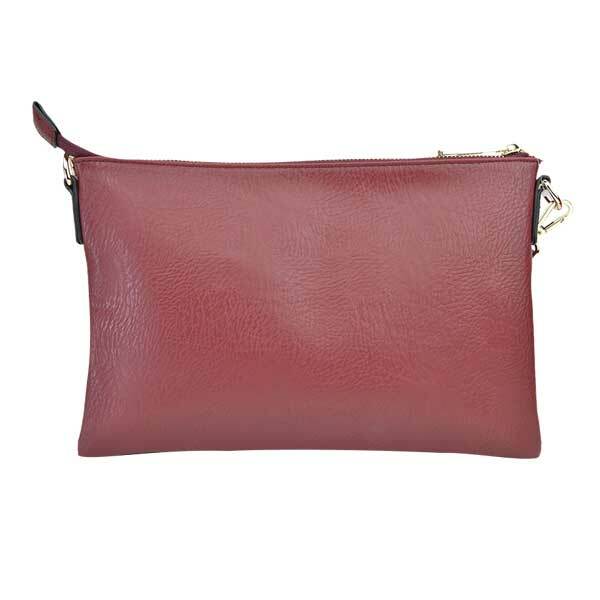 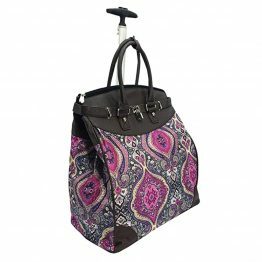 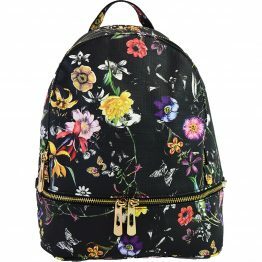 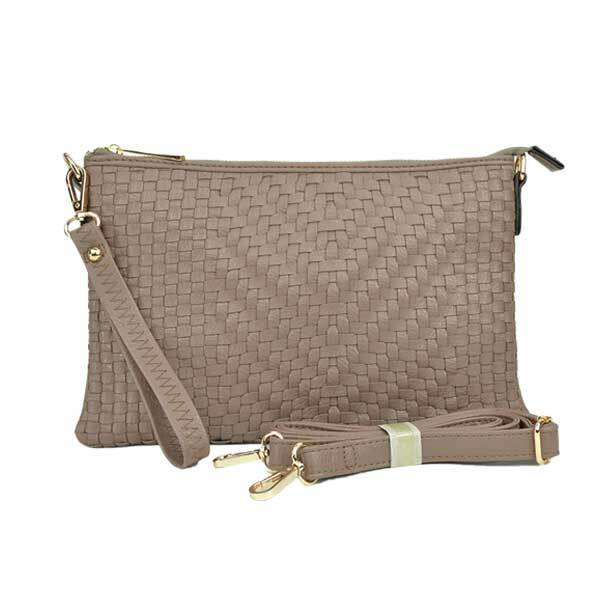 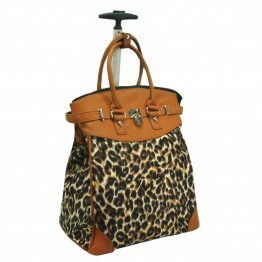 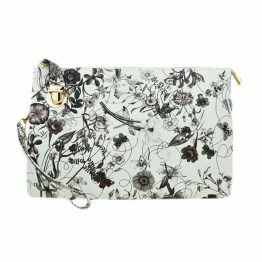 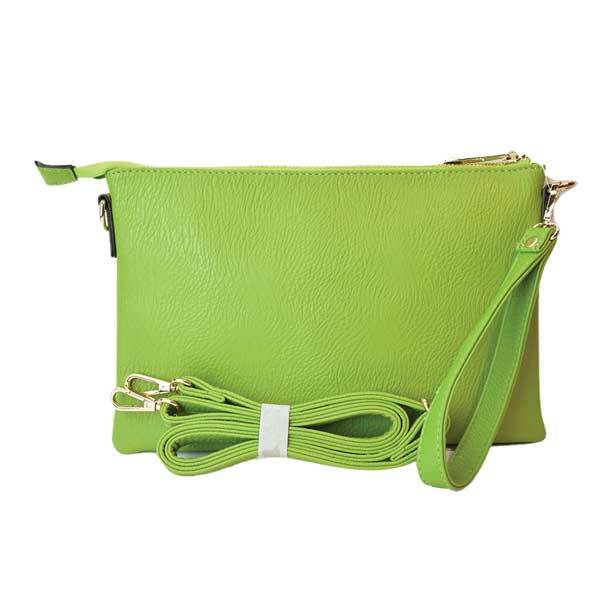 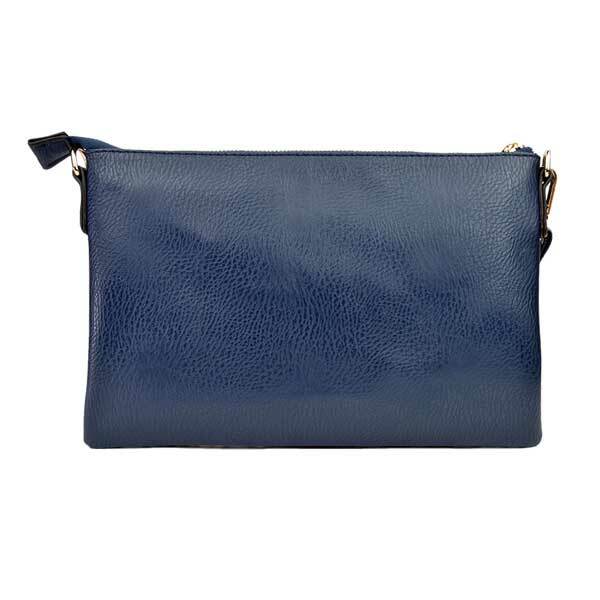 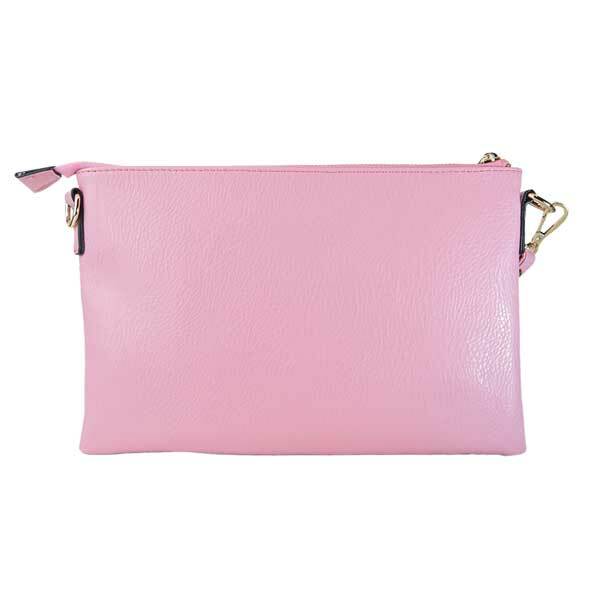 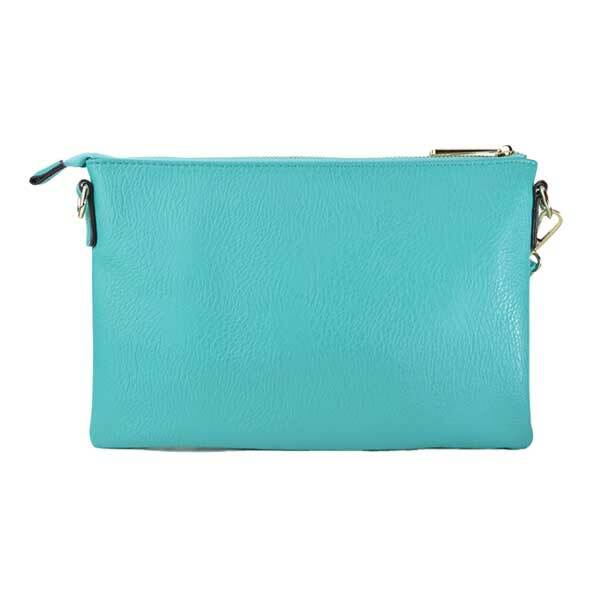 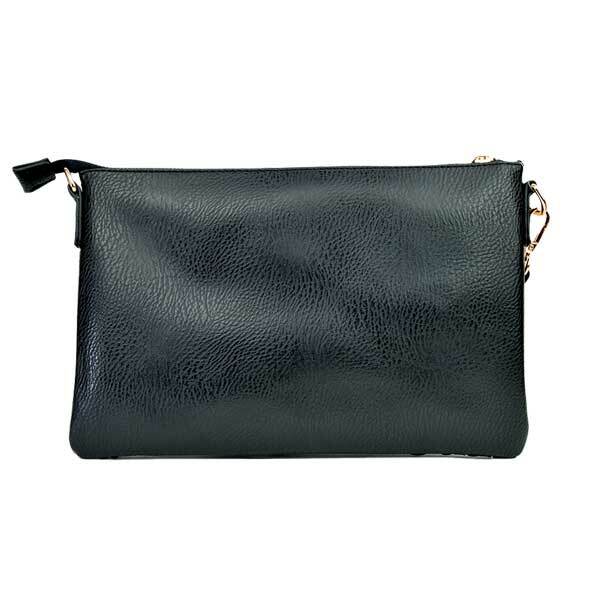 1 removable 8.5″ wrist strap; 1 removable crossbody strap adjustable up to 50″.